From a distance ‘Me, myself and us’ is like a fairytale in forest. The soft glowing of the white objects covering the carousel like clams cover a rock in the ocean, give the spectator a feeling of wonder. However, getting closer, the self absorbed gnomes are smothering the carousel with their combined egocentrism leaving no room for the nostalgic past. The idea initially popped up early 2010, resulting in some first sketches and renders that were quite well received on social media by blogs like Mocoloco. However, it took another five years to fine-tune the details and get the team operational to start realising this installation. Me, myself and us is submitted to premier at the Amsterdam Light festival 2016. The artist is currently working hard on realising this object. 3D renders and designs have been made, prototyping is done in China and the first samples of the garden gnomes are currently moulded. 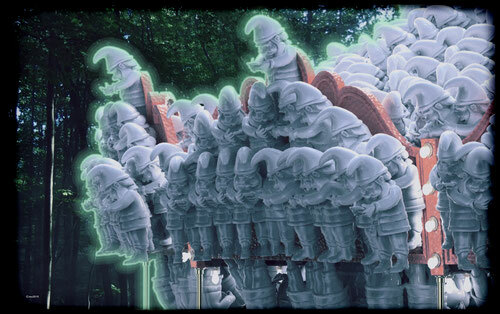 In December 2015 the first batch of 2500 gnomes arrived in Holland for quality control, after which the production will start in 2016 and 2017. 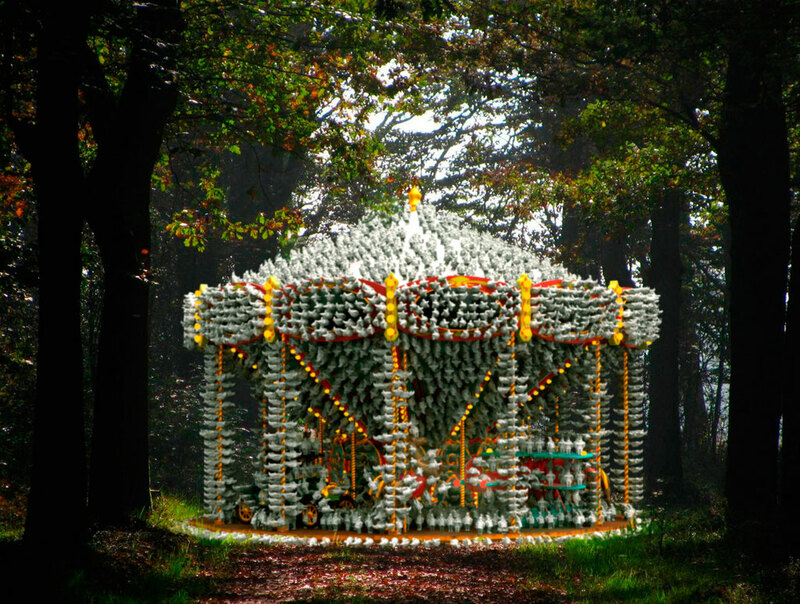 Would you be interested in having this installation in your venue? Please contact the artist here. We can imagine that you are currently thinking: "Man, I want a glow in the dark garden gnome like that in my home! They rock!". Well, we can imagine that and have pre-empted this question. 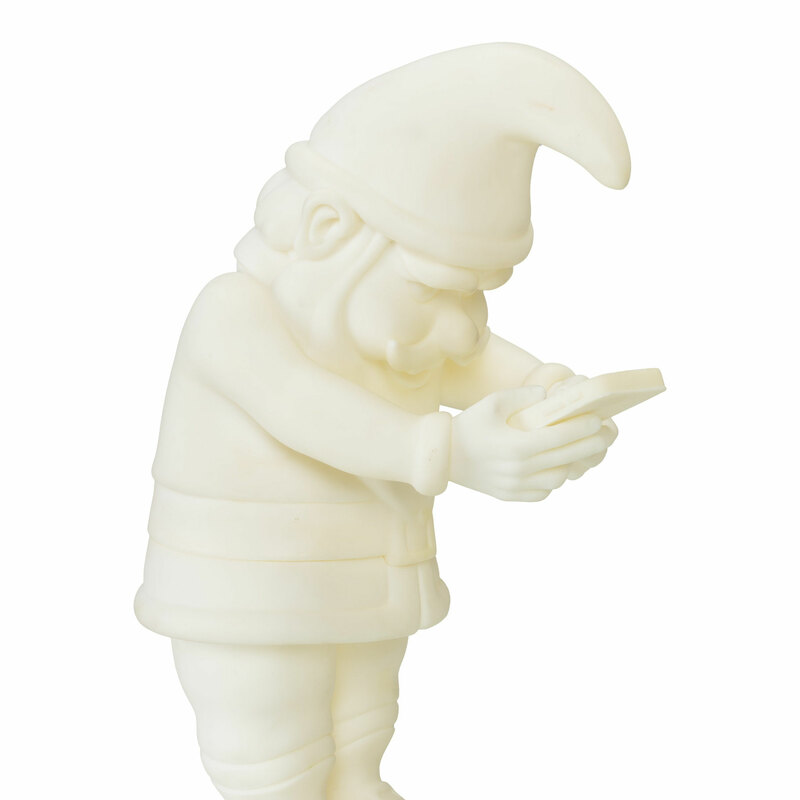 Edward Bernsteyn and team created a limited and numbered series of 999 garden gnomes. You can have one of these great creatures in a beautiful gift-box for as little as 49 Euros excl. shipping costs. We ship across the globe. How to order? Simple, just go the the shop and order one!